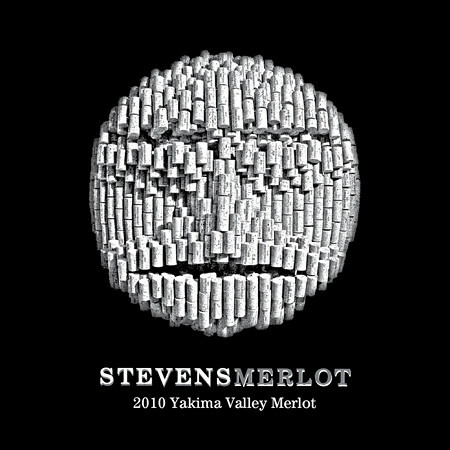 Though the occasional bottle is made from outside a specific part of the Yakima Valley, it is the Stevens wines sourced from DuBrul, Dineen, Sheridan and Meek in particular that typify a certain terroir. To put it succinctly, these red wines are lean yet graceful, compact yet generous in their way. They don’t shy away from flavors rich in herbal elements. The fruit is brambly and wild rather than sweet and concentrated. And the wines are almost always cellarworthy. Stevens sends out a full set of wines to me annually, which often includes several that are not yet released. This allows me to see the entire line up at once, and gives me a very good sense of the house style. It also provides the opportunity to preview some wines that may well sell out in advance. So here’s a quick look at the current and future lineup. (Note – scores will be published, as usual, in Wine Enthusiast later this spring). This is a sleek Malbec, adorned with generous baking spices around a firm core of wild blueberry fruit. This is sourced from DuBrul and Meek, and it is remarkably complex, the dark fruits highlighted with toast and baking spices, clove and ginger. This Bordeaux blend is built upon a base of firm black fruits, with plenty of cassis. The best of an outstanding lineup of cellar-worthy, Yakima Valley red wines, the XY Reserve opens with a well-finessed bouquet of funk, fruit and flowers. The mid-palate brings compact black fruits, beautifully-structured with firm acids and fine tannins. Sharp and spicy, with highlights of pine needle and a thread of smoke. Sourced from a single block from the Dineen vineyard, and aged in 50% new French oak. Black fruits abound, along with licorice, tar and a whiff of iodine. Tasted pre-release, this is clearly ready for prime time. It’s both compact and generous, with a core of wild berries soaked in minerals. On a visit to the winery a few years ago, Tim Stevens confided that “we sell out fairly quickly – the 424 in three weeks, the Reserve about the same.” I have no reason to suspect that any of these wines will last long – except in your own cellar, where they will provide pleasure for many years to come.